In PropTech, we think of user experience (UX) in terms of how well our software or tool works for our primary users (real estate investors, property managers, landlords, etc.). But there’s another important UX we have to master to stay profitable: our tenants’. Understanding what our tenants – and what renters overall – value from a landlord is essential to making sure our buildings stay occupied and rent payments continue rolling in. Here’s a look at what the research says, along with some insight from my years as both a landlord and tenant. Background: Who Are Our Renters? Before I dive in to that data, though, let’s get on the same page about who exactly is renting these days. First, it’s more of us than any time in the last 50 years – about 36.6 percent of the population, or 43.3 million households. In other words, renters trust their landlords in two major ways: they’re sending us a lot of their hard-earned money and they’re establishing their homes in our buildings. To make sure we warrant that trust – and to keep our tenants happily paying their rent for as long as possible – we have to take steps to make sure we’re meeting their needs. Here are some concrete ways you can do that, based on evidence. A study of 120,000 renters conducted by the National Multifamily Housing Council (NMHC) found that the ability to pay rent online is the thing renters want the most. In another study, by a firm called Entrata, which focuses only on what types of tech renters value, online rent payments also came in first. This is great news for landlords. Online rent payments eliminate the classic headaches of “the check is in the mail” or “I didn’t get your check.” When payments are processed online, everything you need is visible at all times to both you and your tenants. Plus, with check use in decline, offering online rent payments is a way of accommodating your renters’ lifestyles (and not forcing them to get a checkbook just to pay their rent). And don’t worry: offering online rent payments doesn’t mean you have to become (or hire) a tech guru. A variety of online platforms designed to help landlords manage their properties better let you request online payments with ease. The NMHC survey found that the third most important thing to renters is the ability to have pets (the second had to do with property location, so I’m skipping it). As many as one in three tenants has pets, so if you aren’t currently allowing them in your properties, you’re seriously limiting your field of potential renters. Renters with pets tend to stay in their homes longer. We’ve found that pet owners are more loyal and conscientious. Even better, many independent landlords prohibit pets, so making your building pet-friendly can help you stand out from the crowd. Another top-ranked feature on multiple renter surveys is strong cell phone service and high-speed internet. This is more than understandable. Lots of renters need cell and internet service to work from home, stay in touch with long-distance friends and family, and watch TV and movies. These days, it’s common for prospective renters to test an apartment’s cell phone reception while they’re viewing it. And a poor connection is a good reason to pass on a place they might have otherwise chosen. As a landlord, you can prevent this by working with internet providers directly. Call and see if you can negotiate a deal for your entire building, then offer high-speed internet “free” with your rent. This saves your tenants the hassle of having to set up one more account when they move, which can make the transition easier and more appealing. The Entrata study found that being able to make automated maintenance requests ranks right up there with online rent pay and high-speed internet for what renters want. Just as significant: 46 percent of renters note that the cost of home repairs is one of the reasons they choose to rent rather than buy. Translation: maintenance is a huge pain point. Handled poorly, maintenance can be a headache for everyone involved: you, your tenants, and any contractor you hire to take care of problems. 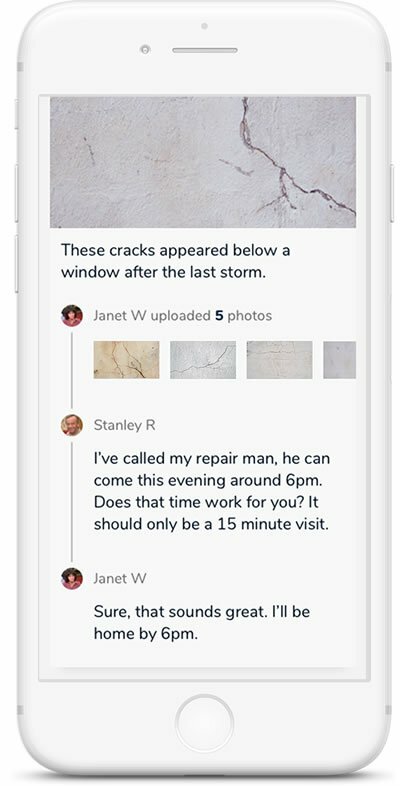 But when you offer a simple, convenient way to submit maintenance requests online – and let tenants track those requests – you make the process transparent. Online maintenance tickets eliminate confusion and hassle and help you track maintenance work over time. As with online rent payments, you don’t have to build this functionality from scratch. Online platforms designed for DIY landlords (including the one I built, Avail) frequently have this capability. When updating buildings to attract tenants, landlords have dozens of improvements to choose from: adding a fitness room, sprucing up common areas, upgrading appliances and decor, adopting the latest smart-home technology, and so on. But if you want to see the greatest return on investment, invest in things that improve customer experience for your renters. When you do that, you’ll see longer stays, fewer vacancies, and happier tenants overall. And while tech can help you improve many facets of customer experience, remember that old-fashioned communication skills are just as important. Show renters from day one that you’ll listen to them, respond to their concerns, and work with them to make your building a great place to live, and you’ll be well on the way to creating the kind of customer experience that pays off.